With the culinary treats and vibrant seascapes comes a bounty of TEFL jobs. In comparison to some other Western European countries, the level of English fluency in Spain is still relatively low. The Spanish are aware of this and realize the importance of English in moving ahead in today’s connected world; therefore, the demand for English teachers is high. So if you’re thinking of teaching English in Spain, when it comes to opportunities you could find yourself spoilt for choice. Teachers can find work at academies and/or offer private one-to-one classes. If you’re looking at teaching at a school, term usually begins in October and ends in late June. Private classes on the other hand, usually become more sought after in September. The pay is often higher for private classes than from an academy (commonly rates range from 9 to 15 Euros an hour) but you’ll find that most teachers work with both. 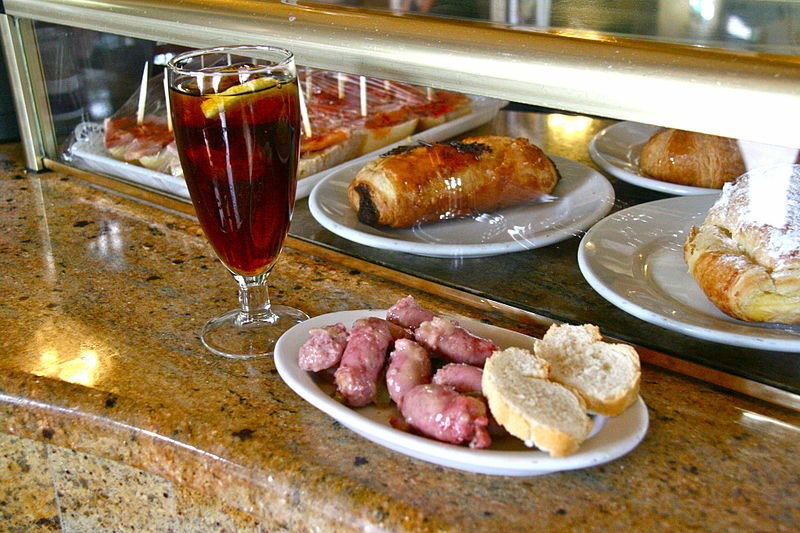 Another great thing the Spanish are renowned for – aside from their lively spirit and friendliness – is their cuisine…. The original concept of a siesta is that of a mid-day break intended to allow people to spend time with their friends and family, to eat and drink. Over the centuries it has grown to a commonality that lives well in Spanish society. Given that most English classes can be conducted in the afternoons and evenings, this leaves you with portions of the day free to indulge in Tapas, small Spanish savory dishes, typically served with drinks at a bar. You will often find that Spanish students are quite friendly and willing to learn however a good knowledge of Spanish yourself will help you better understand your environment (given that only an estimated 18% of Spanish speak English). If you work at an academy which offers free Spanish classes for foreigners, take advantage of it, it will help you in the long run. English is also often taught at many summer camps (July-September) for children, with some academies proposing intensive courses during this time. So if you think Teaching English in the sun in a country swathed in warm beaches, lazy afternoons and exciting cuisine is for you, have a look at Spain, you won’t be disappointed. Have you been to some really great spots in Spain, that you’d like to recommend? Have you had experience teaching English in Spain and would like to share it? Thinking of teaching English in Spain or setting off to teach there soon and would like to know more about teaching and living there?